Each October, the World Health Organisation recognises World Mental Health Day. Luckily for us at Whitewall, we keep mental health in the workplace front of mind every day. From drinks after work on a Friday to the other extreme of embracing the benefits of yoga for office workers, we make the most of our downtime in ways that suit everyone. 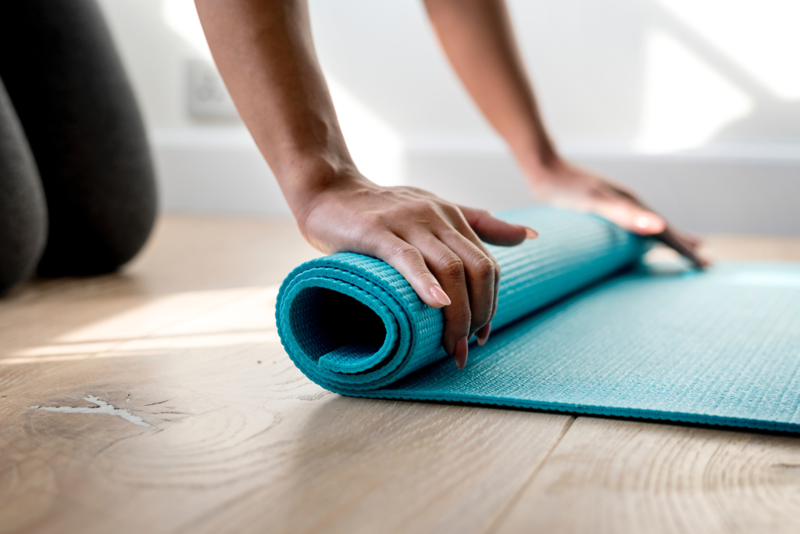 There are a number of proven benefits of yoga for office workers – from increased productivity to improved posture (necessary after sitting at a desk all day). That’s why we head to Merchant City Yoga for an hour of stretching, breathing and relaxing on the first Monday of every month. We’re finding that a regular team yoga class is a great antidote to the stress of day to day life and it’s boosted morale in the office too. Namaste. Whitewallers are encouraged to bring new employee welfare ideas to the table whenever we think of them. Our junior board meets every quarter to consider the ideas and opinions of all employees before proposing new initiatives to the management team. Recently, all employees were given an annual subscription to the Headspace app. It’s said to improve productivity, resilience and creativity in the workplace, and help people stress less, focus more and sleep better, so it makes a difference both at home and at work. It gives you the life-changing skills of meditation and mindfulness in just a few minutes a day – we’ll be the most zen agency in Glasgow soon! It’s been proven that having a dog in the workplace can improve morale, reduce absenteeism and encourage a healthy work-life balance – it’s the perfect excuse to bring our furry friends to work with us. We love to welcome well behaved pooches to our office, and we really do mean it – from Riley’s regular visits to our favourite Cypriot rescue pup Millie, you can feel the dopamine rise when we hear the pitter patter of enthusiastic paws scampering into the office. So don’t be surprised if you visit and find one of the team throwing a ball, being taken for a walk or simply pawsing for a few minutes’ therapet time. It’s helping us work more productively – honest! Let’s face it, Glasgow isn’t known for its sunny days – and certainly not in winter! Waking up, coming to work and travelling home again in the cold and dark is something we all get used to in the west of Scotland. A lack of natural light can affect vitality, mental alertness, energy levels and productivity. But, with the help of our handy SAD lamps, we’re able to soak up those all-important natural rays while we work. Exposure to a light therapy box helps us keep the winter blues at bay and in tip-top condition throughout the winter months. It’s just a shame we can’t get a tan from them at the same time. There’s no point ensuring we’re in tip-top condition mentally if we neglect our bodies. That’s why we all got a summer MOT from Bupa – we’re glad to say we all passed (phew!). The Bupa team were welcoming and friendly, and our individual health assessment reports included tips and advice on staying healthy. Summer may seem a distant memory to most of us, but we’ve still got great memories to look back on thanks to a shorter week in summer. Throughout June, July and August, our office closed at 4pm each Friday to allow employees to soak up the sun in a beer garden, get a head start on the weekend, fire up the BBQ or simply catch up on life admin. Whatever our employees chose to do with their time, we returned to the office on a Monday refreshed and revitalised from our extended weekend. With all that yin it’s good to have some yang so, from September to May, Friday’s when the prosecco corks are popped for a little pre-weekend tipple. After all, it’s all about balance – cheers!